Atlantic Bio Balls Atlantic’s BB1500 contains 150 extremely durable, lightweight Bio-Balls that are easy to clean and reduce channeling. Each ball is 1½’ in diameter and has nearly 25 square inches of surface area for bacterial colonization. 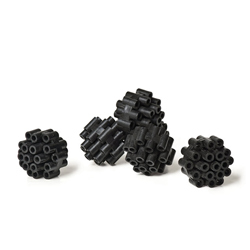 Atlantic's BB1500 contains 150 extremely durable, lightweight Bio-Balls that are easy to clean and reduce channeling. Each ball is 1½ in diameter and has nearly 25 square inches of surface area for bacterial colonization.